Last month I received a lovely assortment of Giovanni Rana products to experiment with in my kitchen. I've not heard of this product line before and was eager to see what I thought of its pastas and sauces. 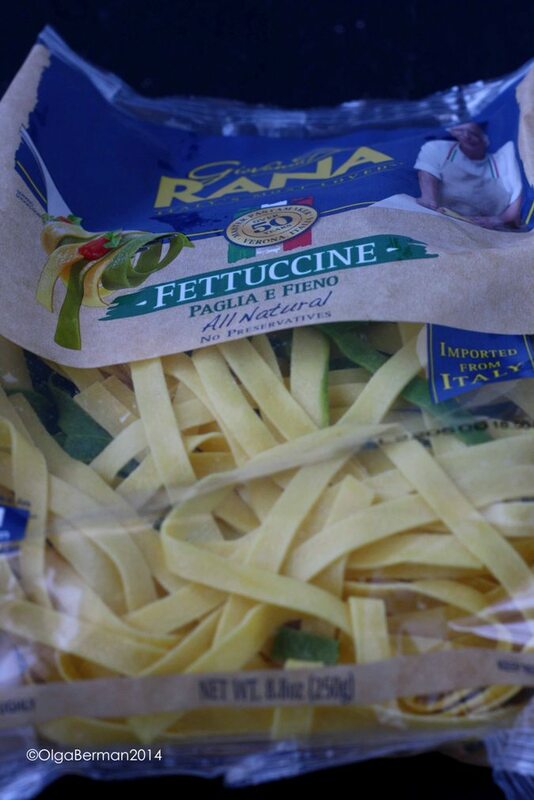 "Giovanni Rana has been making pasta for over 50 years. His philosophy is simple: be true to yourself and the things that make you happy. He learned that as a boy in the family kitchen in Veronella and he still believes that today. For him, perfect pasta comes from a passion for food and the joy of sharing that passion with the people you love." 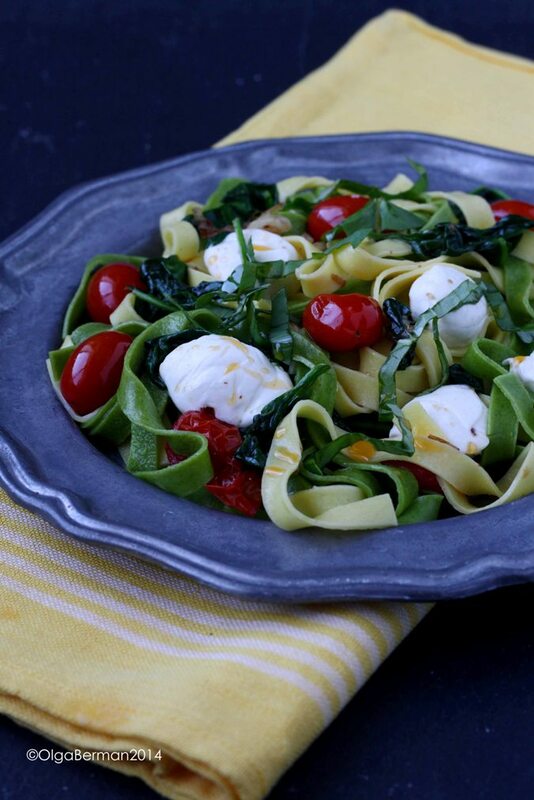 One of the first things I made using Giovanni Rana products was Fettuccine with Tomatoes, Mozzarella & Spinach. 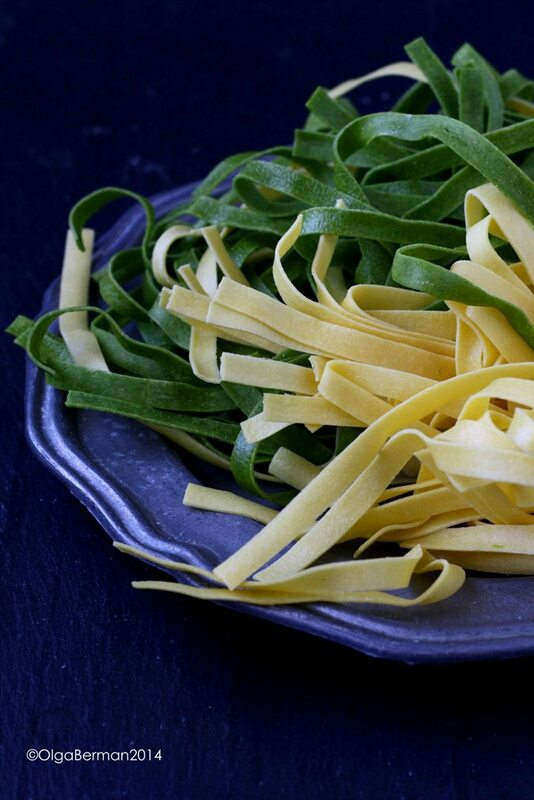 How gorgeous is this fettuccine? 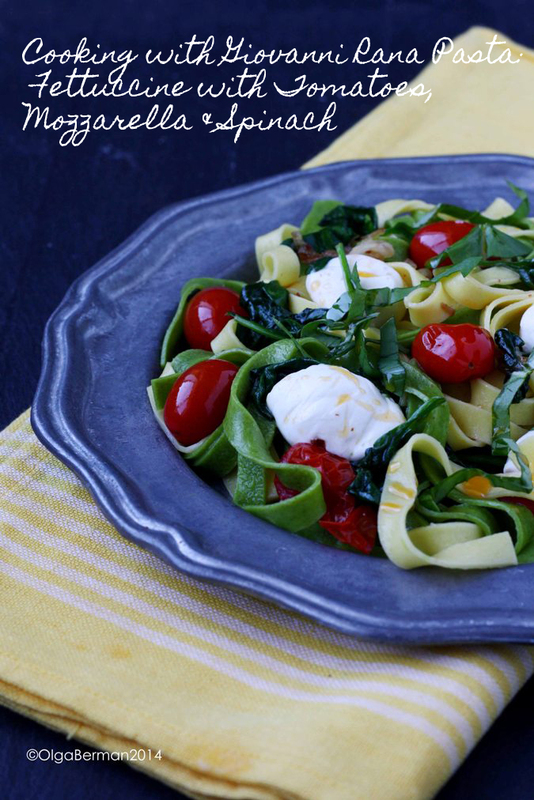 This pasta is made with wheat semolina, eggs, water, and spinach. That's all! The texture resembles the type of pasta you'll make by hand. 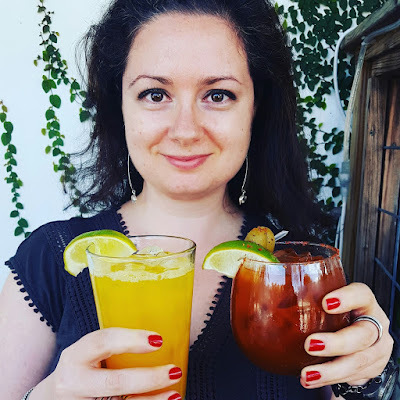 According to Giovanni, "Paglia E Fieno is a mix of green and yellow fettuccine translating literally to straw and hay." 1. Cook pasta according to directions. I, however, always cook my pasta a few extra minutes: don't judge! 2. Meanwhile, heat the olive oil in a skillet. Add sliced shallot and sauté until it turns translucent. 3. Add grape tomatoes and red pepper flakes and sauté till tomatoes brown a little. 4. 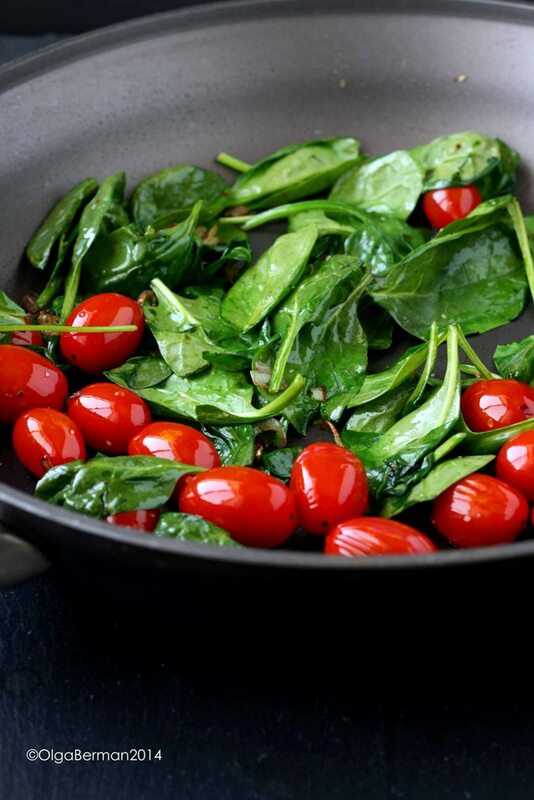 Add spinach and sauté until it wilted. 5. Add drained pasta and fresh mozzarella balls to the vegetables and mix. Season with salt. 6. 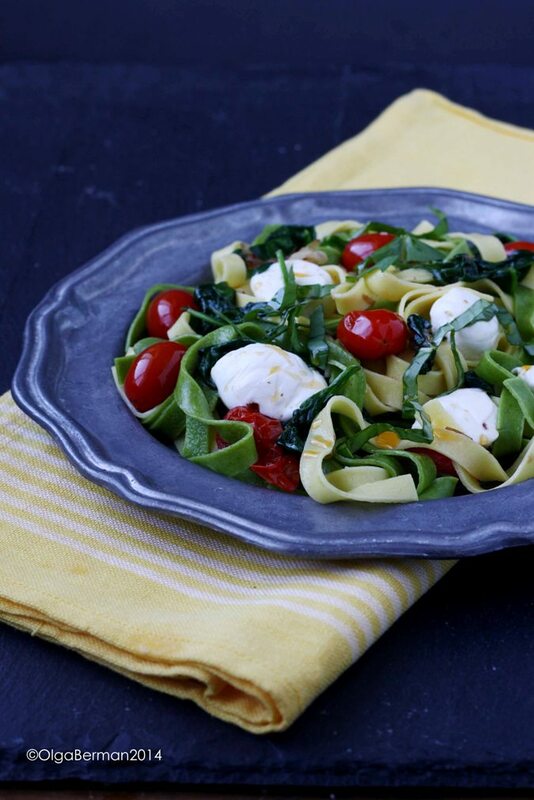 Serve immediately with a drizzle of olive oil and fresh basil. Doesn't this just make you think of summer and eating outside? This dish looks pretty and is packed with great flavors. I love the beautiful fettuccine, the silky mozzarella balls and the grape tomatoes that burst in your mouth! The pepper flakes add the needed heat while the basil adds freshness. 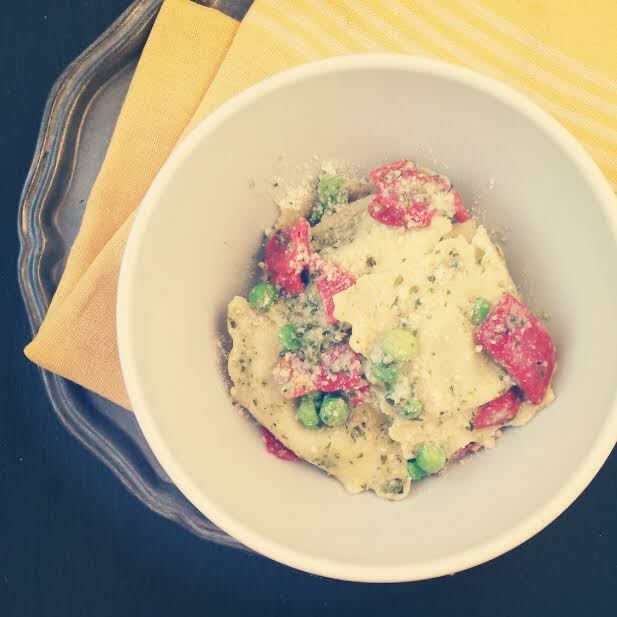 What's the latest pasta dish you made or ate? Disclaimer: I received multiple samples of Giovanni Rana products, but was not compensated for this post. All opinions are my own. That fettuccine is so gorgeous! This is so my perfect dinner! Their pesto is THE best. I love it in eggs and on potatoes. Yum.